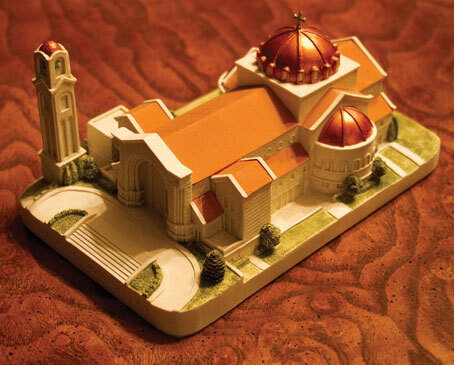 In the Orthodox Church, each family is “a little church.” By holding this model of St. Mary’s Basilica in your hands, enshrining it in your home, you create a physical connection to the Orthodox Church and Christians around the world. Purchasing one as a gift for yourself, your loved ones, or especially young children will remind them each time they see it that Christ and His Church will always have an abiding place in their lives. For those who have moved away from home, it will bring back memories of good and holy times with family and fellow Christians. It makes each home a tributary that flows from the Body of Christ, the source and strength of our lives…We pray it will bless you.